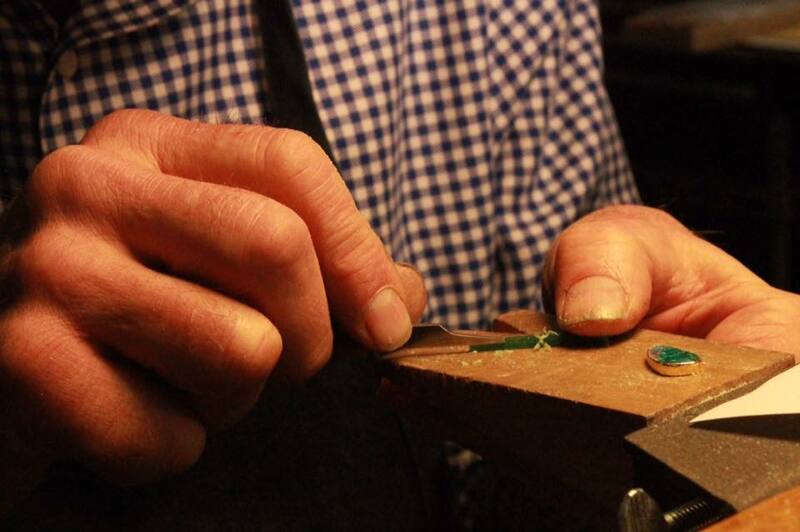 Jewelry Designer and Studio Goldsmith. Owner of Richard Kimball Designs, a retail gallery and studio/workshop in Denver, Colorado since 1972. With a strong grounding in the history of jewelry and hollowware, Kimball has created highly individual and expressive pieces for more than 45 years. His greatest inspiration remains the landscape and topography of the American West. Recognized as one of America's premier jewelry designers, his work can be found in personal collections from New York to Hong Kong, resulting from over thirty solo gallery exhibitions and one of kind commissioned pieces. Kimball was designated “Mastersmith” by the National Metal Museum, Memphis, TN, in 2000. He has pieces in the Museum's permanent collection, as well as that of the Gemological Institute of America’s (GIA) Museum. Large scale projects include several pieces for St. John's Cathedral, Denver, including a sterling chalice and architectural lighting fixtures in bronze & steel, a sterling "Aladdin's Lamp" for the Children's Television Workshop, New York, and series of physician awards given by National Jewish Hospital, Denver. Kimball continues to source outstanding gemstones for his own creations, as well as for his clients from his well-established contacts around the world. His work with fine and unusual gems has resulted in several American Gem Trade Association (AGTA) Spectrum Awards. Each piece from Kimball's studio is fabricated by hand and unique. Working closely with individual clients, Kimball strives to produce a finished object that is truly custom and made to the highest standards. Sneaking out of the workshop, Kimball can be found gardening or flyfishing in Colorado rivers.